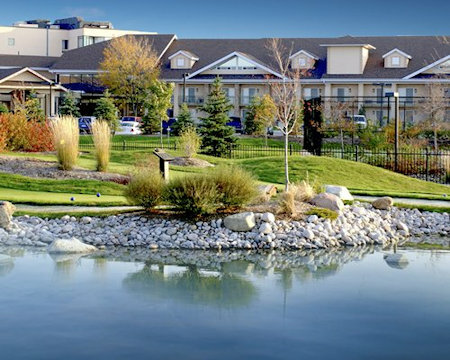 Enjoy 7 Nights at The Georgian Bay Hotel & Conference Center in Collingwood, Ontario, Canada! The Georgian Resort and Country Club spoils its guests with the best in dining, golf, and leisurely activities. Visit the resort’s professionally designed golf course. Activities at the clubhouse include tie-dye, jewelry, karaoke, and child care. Look out for movie nights or rent a movie to your room. The clubhouse hosts teen dances, family bingo, scavenger hunts, yoga classes, and more! Enjoy the two outdoor pools, indoor pool, sauna, hot tub, and fitness center. Get cozy around the fireplace lounge. Children will enjoy a variety of activities and lessons, including a children’s playground. This is a fantastic resort for weddings and conferences as well. Welcome to beautiful Collingwood, Canada, near the slopes of Blue Mountain and the beautiful waters of Wasaga beach on Georgian Bay. The Georgian Bay Hotel & Conference Center is a four-season resort that boasts a number of activities such as skiing, fishing, hiking, tours, and sightseeing. Try the area’s cave tours, paintball, horseback riding, virtual golf/gaming center, and bowling. Enjoy the Village at Blue Mountain, offering dining and shopping opportunities. Take a relaxing trip to the spa or visit the local zoo. Toronto is about 90 minutes away and Niagara Falls is a three-hour drive. This area of Ontario is chock-full of adventure for your family vacation, company retreat, or honeymoon! 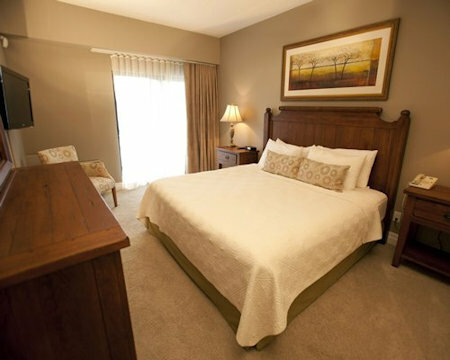 Escape to your cozy abode at The Georgian Bay Hotel & Conference Center! Recently renovated guest rooms include a full kitchen or kitchenette with washer, dryer, microwave, and dishwasher. 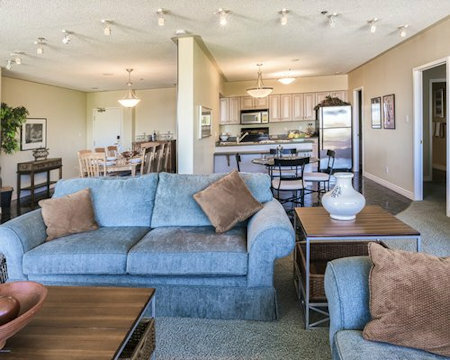 All units include a mini fridge, microwave, TV, DVD player, and hair dryer. Your 1 BEDROOM SUITE will accommodate 4. The unit has 1 bath, 1 queen bed, 1 sleep sofa, and a full kitchen. Your 2 BEDROOM SUITE will accommodate 6. The unit has 2 baths, 2 queen bed, 1 sleep sofa and a full kitchen. * Resort charges a Service Charge fee of 5.00 in local currency per unit per day. This is not included in the price of this offer and is collected by the resort at check-in.